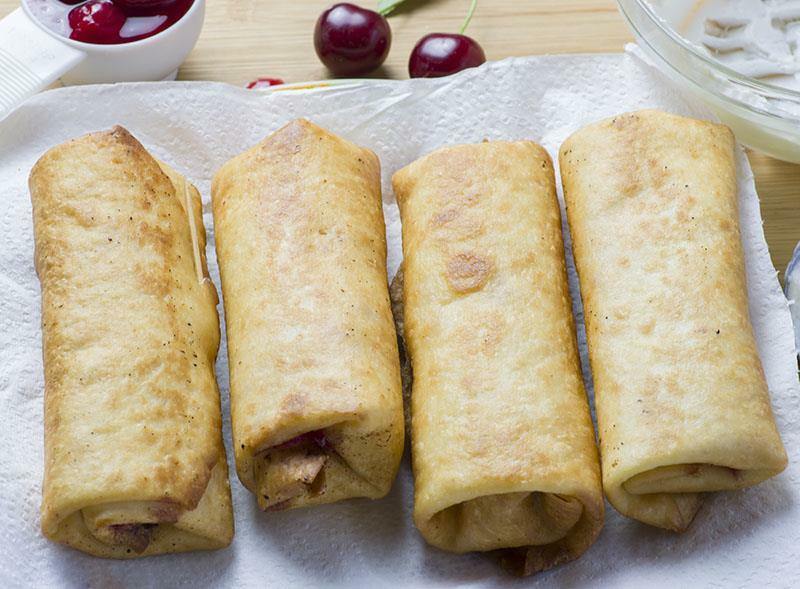 Cherry Cheesecake Chimichangas is quick and easy dessert perfect for all cheesecake lovers! Yes, you got it right, this is dessert recipe!!! 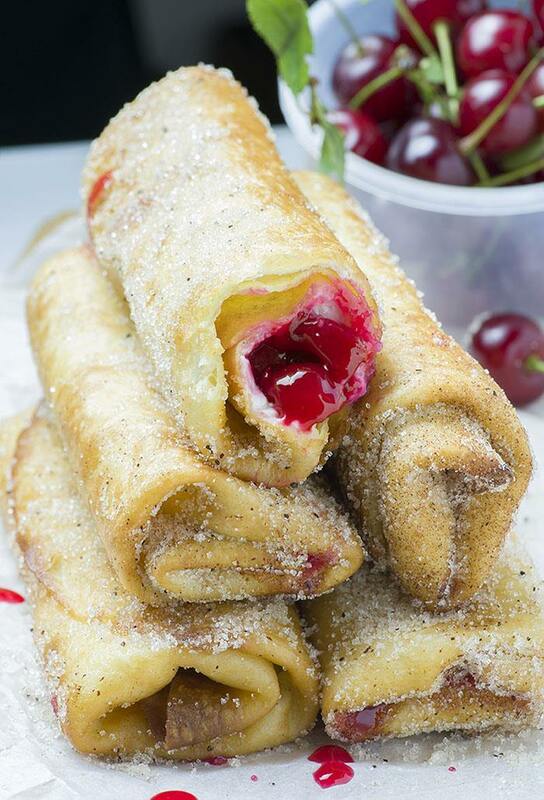 Cherry Cheesecake Chimichangas are irresistibly scrumptious, crispy, deep fried burritos filled with sweet, cherry cheesecake and rolled into cinnamon sugar. If you are craving for a cherry cheesecake, you’re at the right place! These Cherry Cheesecake Chimichangas are not the classic baked cheesecake that requires a lot of spare time and work. This is very quick recipe that wins for ease and simplicity. And the best part for this type of recipe is you could change it by using a different type of fruit for filling. Last time I used fresh strawberries and they were so good. Perhaps you remember my Strawberry Cheesecake Chimichangas. I had to try new version and this time I chose cherry pie filling instead fresh strawberries. Cherry Cheesecake Chimichangas turned out equally delicious. Check these Oven Baked berry Cheesecake Chimichangas, too! To tell you the truth, the reason I used cherry cheesecake filling is this. A few days ago I picked a full bucket of juicy cherries from the tree in front of my house, and I didn’t know what to do with them. The cherries can’t be kept fresh for a long time so I made a few jars of homemade cherry pie filling. I had to figure out what to do with all those cherry pie filling. I’m a bit tired of old fashioned cherry pie and want to try something new. I’ve already made Mini Cherry Pies, which are great if you don’t need a whole pie or you want individual serving size dessert. 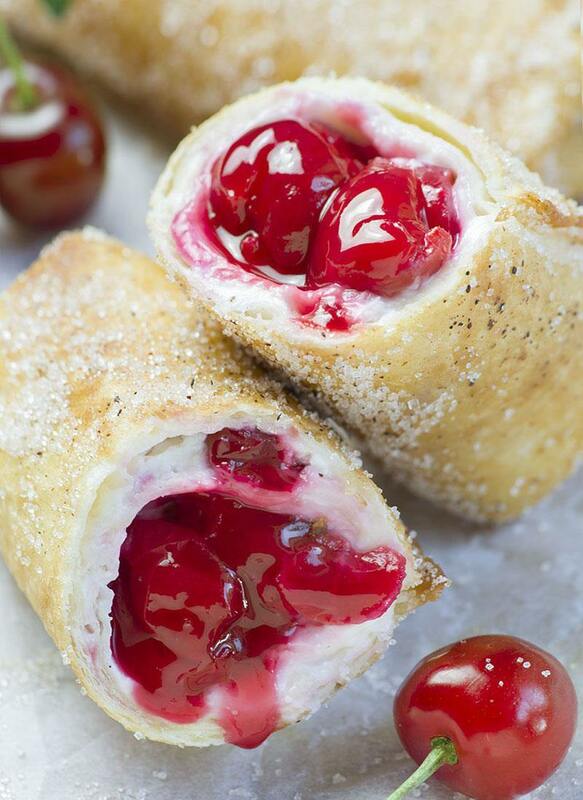 And so this scrumptious Cherry Cheesecake Chimichangas recipe was born. I was so pleased with the results. 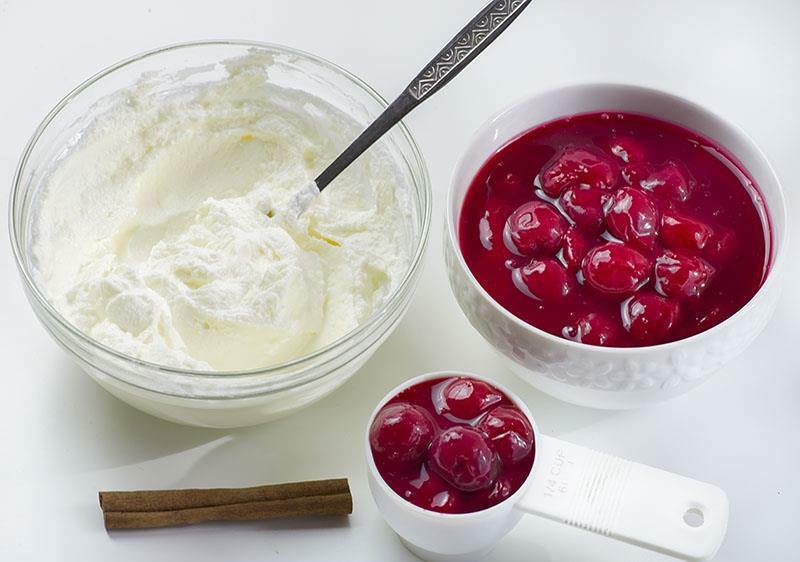 I really love cherry cheesecake and the simplicity of this recipe makes me even more happy. 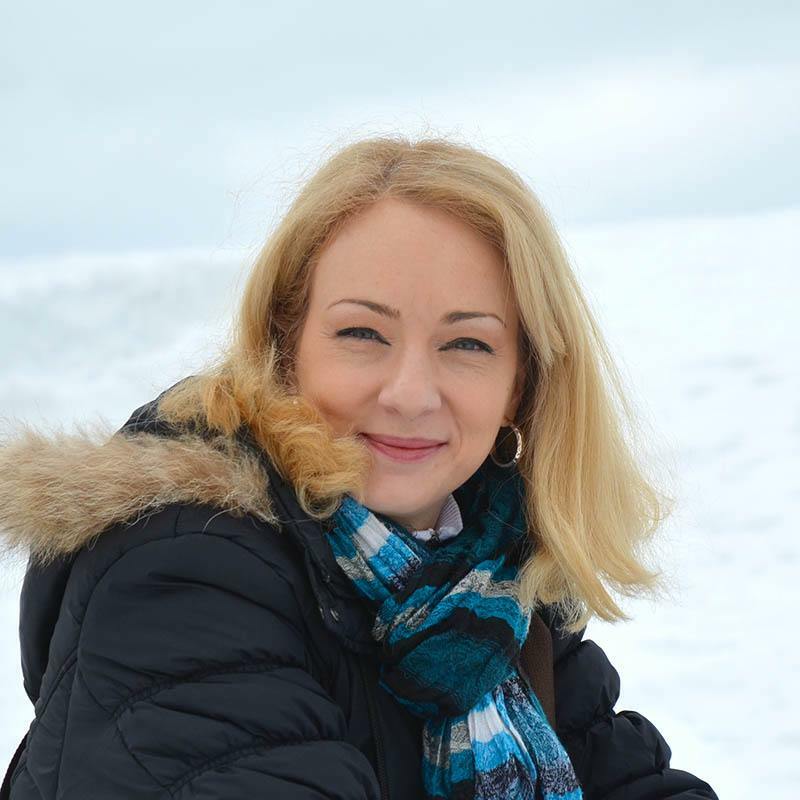 Just mix cream cheese with some sugar and vanilla, spread onto a flour tortilla, add some cheery pie filling, rolled it tight like a burrito, fry each one for a 2-3 minutes, then roll into cinnamon sugar mixture and the yummy dessert is ready for serving. If you like cherry cheesecake try these Cherry Cheesecake Chimichangas, you will not be disappointed! Cherry Cheesecake Chimichangas is quick and easy dessert perfect for all cheesecake lovers! Mix together cream cheese, sugar and vanilla extract . Divide the mixture evenly between 6 tortillas and slather in the lower third of each tortilla. 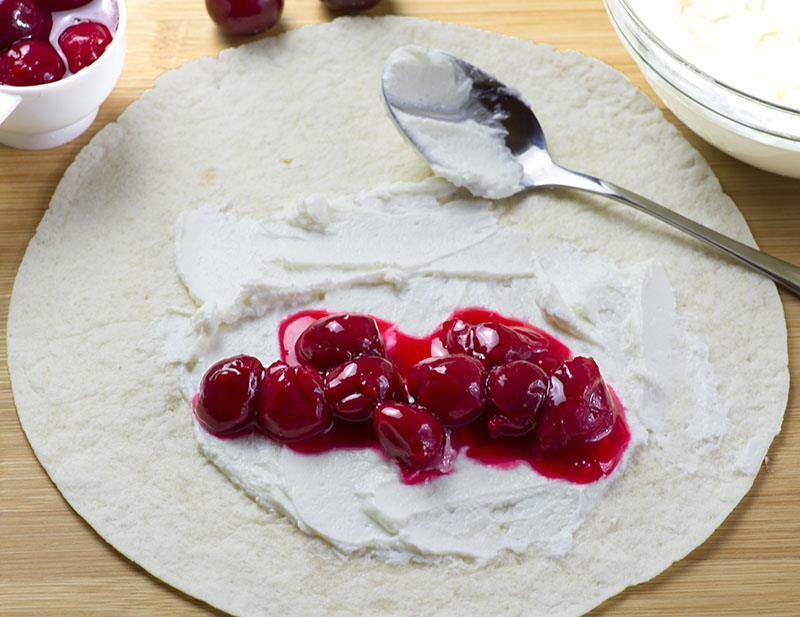 Add ¼ cup cherries onto each tortilla in the center of cream cheese. Fold sides of each tortilla toward the center and then roll up the tortilla tight like a burrito (secure it with a toothpick!). Combine 1/2 cup sugar with 1 tablespoon cinnamon in a shallow bowl and set aside. Line a large plate with paper towels, set aside. Working in batches fry the chimichangas until golden brown and crispy, about 2-3 minutes and flip them as needed. 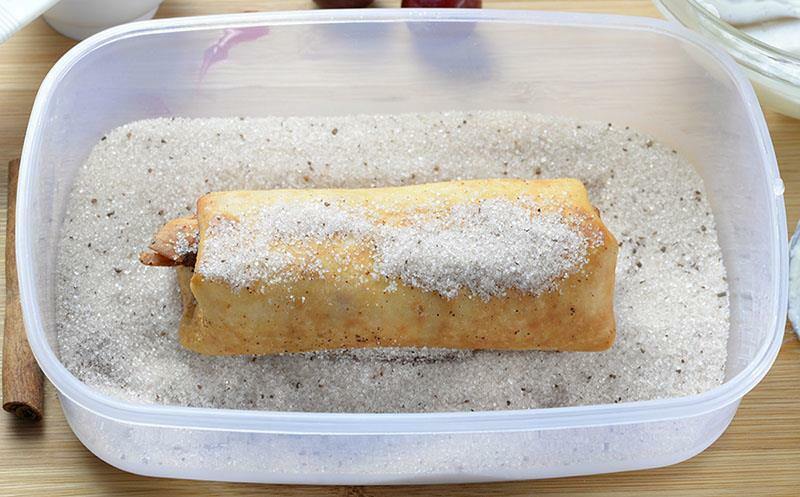 Transfer fried chimichangas onto paper towel lined plate to drain for a minute, then roll them in the cinnamon-sugar mixture. Remove toothpicks from the chimichangas before serving! Do they need to be served right away? Or can I serve them a few hours later? Hi Beverly, you can serve them later but tortilla won’t be as crispy as when they are warm. I want to make these for a bake sale, my only concern is that I’m afraid they might get mushy or too moist. What do you think? Appreciate your reply! Hi Rosalilla, they won’t be crispy as while they are still warm. Can they be frozen before you fry them so that you can just fry a few at a time? Hi Barry, sorry I haven’t tried to freeze these. I recommend almond extract,in this recipe,rather than vanilla it really brings out the flavor of the cherries! Good but. There is one thing. This came from Pinkie Pie ( My Little Pony).i am slightly sad that you didn’t mention it anywhere. Hi Lolli, I’m not familiar with Pinkie pie and My Little Pony. This recipe came from my kitchen.